The whole world is engaged in lip-service criticism of China’s torturous policies against our beloved Uyghur Muslim brothers and sisters living in East Turkestan. On the other hand, the African continent is in dead silence! Africa’s leadership of agent rulers have joined their Muslim counterparts in the Muslim World who are also in the same situation of total muteness! No leader has dared to raise their voice or finger against China! Africa’s position towards China’s policies on Uyghur Muslims, is informed by the so-called economic partnership that the continent has with China. As of 2014, China had outpaced America by becoming the No.1 investor in Africa with official statistics showing that China has a record high of over $250 billion in bilateral trade with Africa. Furthermore, China is the world’s No.1 trading partner for 138 out of the world’s 200 nations. BRICS association introduced New Development Bank (NDP) headquartered in Shanghai City, China and recently on 17 August 2017, the New Development Bank officially opened Africa Regional Center (ARC) in Johannesburg, South Africa. The Bank is aiming to establish the ARC as an important contributor to sustainable infrastructure development in South Africa and as a useful participant in the development agenda of the continent. The last forum on China-Africa Cooperation (FOCAC) summit that took place on 3 – 4 September 2018, the Chinese president Xi Jinping pledged $60 billion to the African continent in loans, grants, and development financing. 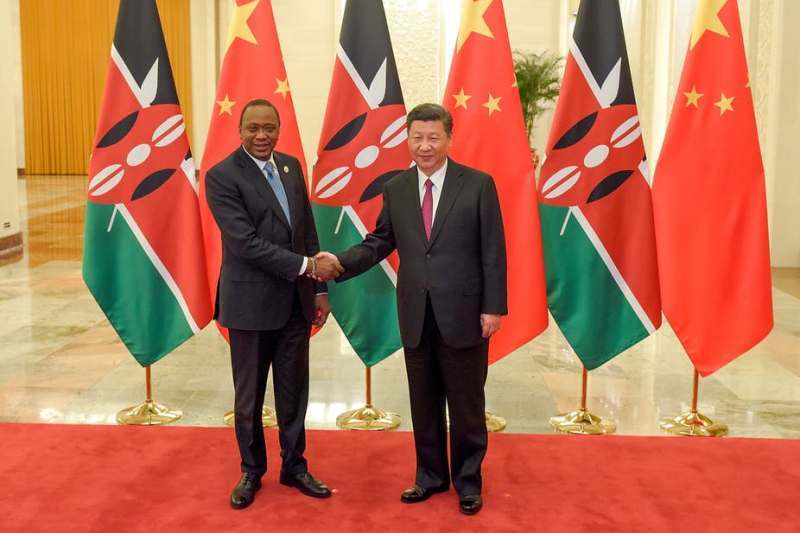 Xi also announced eight initiatives aimed at improving Sino-Africa relations, including investments in healthcare, education, security, cultural exchanges, and increasing non-resource imports from Africa. In addition, the African continent is several colonies managed by sub-servant agent rulers who have sold their souls to their secular colonial western masters led by the US, UK, France and their allies including Russia and the rest. The West and their allies are currently championing and enacting brutal and murderous laws and policies in their respective countries anchored on fighting extremism and terrorism! Their laws and policies have being copy-pasted by the African agent leadership. For instance, regionally, OAU Convention on the Prevention and Combating of Terrorism in 1999, adoption of AU Plan of Action on the Prevention and Combating of Terrorism in 2002 and adoption of the African Model Law on Counter Terrorism in 2011. The Model Law was developed to assist Member States in implementing the provisions contained in the various continental and international counter-terrorism instruments. Therefore, locally countries enacted legislations including Kenya passed the Prevention of Terrorism Act No.30 of 2012 and introduced the National Strategy to Counter Violent Extremism in 2016. The above clearly confirms that Africa and its sub-servant agent leadership have no moral and political authority to account the Chinese brutal policies as they are engaged in perpetrating the same evils to their citizens across the continent! Furthermore, it confirms that Africa lacks a clear and sound ideological point of view towards the universe, humanity and life. Since its ruling ideology is that of the invalid secular colonial capitalism emanating from man’s limited mind championed by the enemies of Allah (swt) led by America and her allies. This fake ideology and its chaotic policies and laws are the root-cause of catastrophes world over namely political-social-economic crises witnessed from the East to the West! Africa has inherited this corrupt ideology and its systems from its colonial masters myopically; and so its position is reminiscent of its poisoned mindset that prioritizes economic/materialistic value against the moral and humanitarian values!